The Occupation Museum Association of Latvia and the Municipality of Zedelgem in Belgium are cooperating to erect a Monument to Freedom. The Monument will commemorate the Latvian soldiers who were POWs in the Zedelgem camp during the winter of 1945/46, but did not lose faith in freedom and their fatherland – Latvia. The Monument will be opened in October 2018 in a new square that has been named Brivibaplein (Freedom Square) about three km from the former POW camp. In the summer of 2017, a competition was announced among Latvian sculptors for the design of the Monument. The design had to symbolise the concept of freedom within the context of Latvian and other Baltic soldiers in the British POW camp. They had been forced to fight on the side of one foreign power hostile to the independence of Latvia – Nazi Germany – against the other equally hostile foreign power – the Soviet Union. Popularly known as legionnaires, 11 727 Latvian soldiers surrendered to the Western Allies at the end of World War II, and hoping for understanding and assistance they became British captives. While in captivity, they marked the 27th anniversary of independence of Latvia on 18 November 1945 by erecting a scale replica of the Latvian freedom Monument in Riga. In December they founded the welfare organisation Daugavas Vanagi (Hawks of the Daugava River) that kept alive the faith in a free and independent Latvia during the many years of Soviet occupation of Latvia and is still active today. The Latvian soldiers in Zedelgem obtained their personal freedom in May 1946, but many of them did not live to see the day when Latvia regained independence in 1991. The idea for the Memorial developed gradually. In 2014, the Occupation Museum of Latvia organised a visit to the former Zedelgem camp site by a Museum historian, video operator and two former camp inmates. They established close contact with Pol Denys, a historian from Zedelgem who had personally conducted research about the history of the POW camp. As a result of the film made during the trip and cooperation with Pol Denys, the Museum prepared a documentary film “Zedelgema” (Zedelgem) in Latvian with subtitles in English. Subsequently, Pol Denys suggested to the leadership of the Municipality of Zedelgem to explore further the history of the former POW camp that the Brits established in the pre-war ammunition storage complex of the Belgian Army. Further communication between the Museum and Zedelgem leadership led to an agreement to cooperate and establish a memorial. The Museum organised the design competition in which five sculptors participated: Aigars Bikše, Ojārs Feldbergs, Kristaps Gulbis, Pauls Jaunzems and Gļebs Panteļejevs. 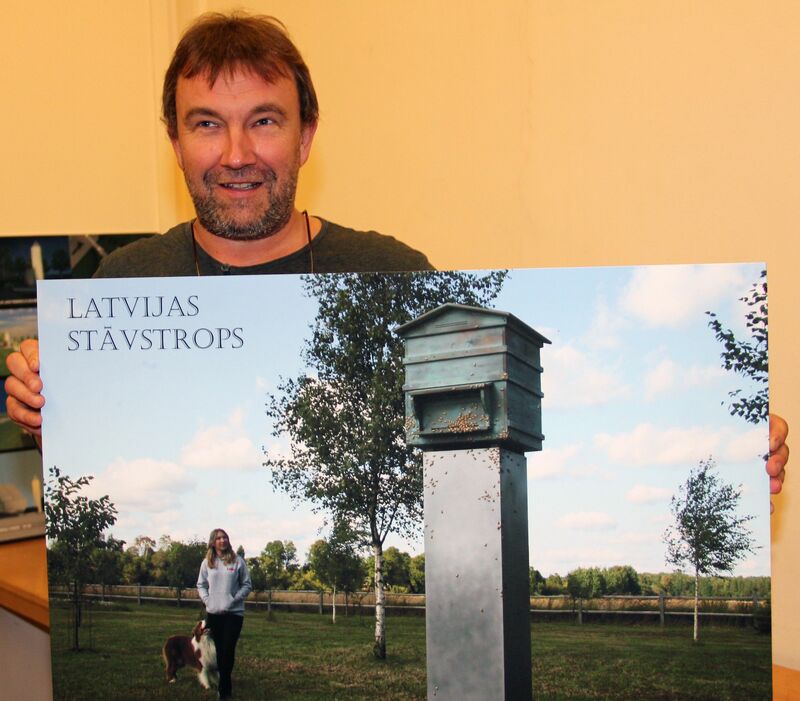 In September 2017, the submitted models were judged by a Belgian and Latvian expert jury and the model of Kristaps Gulbis was awarded the first prize for the design “Latvijas stāvstrops” (Latvian Classic Beehive). The project has already stimulated the interest of the inhabitants of Zedelgem about the history of their city, and the history of Latvia, the other Baltic States and Eastern Europe in general. The understanding of the convoluted and complex history of this whole area strengthens the bonds of the European states and their common future. The project is important to Latvia and Latvians because it will create the first monument to the Latvian legionnaires that is not situated in a cemetery. The cost of the project – 100 000 EUR – will be shared equally by the Museum and the Municipality of Zedelgem. The Museum has already started a fund raising campaign for the project.